IRVINE, Calif., June 26, 2018 – (RealEstateRama) — CoreLogic®(NYSE: CLGX), a leading global property information, analytics and data-enabled solutions provider, today announced at their annual real estate user group meeting in Colorado Springs the release of Trestle Defender™. Multiple listing organizations that use Trestle™ to distribute listings can now benefit from an additional layer of security and protection against unauthorized access and misuse of listing data. Trestle, the CoreLogic listing transmission hub for RETS and Platinum-level RESO-compliant data feeds, is now enhanced by Trestle Defender, which will monitor real estate listings for unauthorized access by third parties and remediate any misuse of data access. Most importantly, Trestle Defender will provide much-needed tools and services to enforce multiple listing data usage agreements. Available this July with additional features being added throughout 2018, Trestle Defender will enable clients to protect listings throughout the transmission and usage chain via best-practice implementation of data and password security as well as ongoing auditing, reporting and monitoring of listing usage. In addition, CoreLogic will deploy unique data tracking via watermarks and specialized data seeding. Detection of misuse can automatically trigger remediation rules to minimize immediate harm and quarantine the violating party. Trestle Defender will be further enhanced to provide industry leadership in scoring potential fraudsters and providing proactive insight to clients before they approve listing distribution requests. “Listings are the lifeblood of our clients and safeguarding the integrity of those listings is a very important priority for us,” said Chris Bennett, executive leader of Real Estate Solutions for CoreLogic. “We’ve been a leader in mortgage fraud detection and scoring for the largest banks in America for over a decade now. That expertise combined with our long history of account-level monitoring via Clareity SafeMLS Plus™ makes Trestle Defender a powerhouse of both short-term and long-term listing protection. Our clients know we’re the proven industry leader in data security and they expect nothing less to assure the continued integrity of their listings. 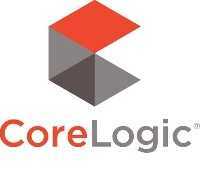 CORELOGIC, the CoreLogic logo, TRESTLE, TRESTLE DEFENDER and CLAREITY SAFEMLSPLUS are trademarks of CoreLogic, Inc. and/or its subsidiaries. All other trademarks are the property of their respective owners.